Over the past few years we’ve expand Angel City Sports' clinics and programs, and brought more adaptive sports to the annual Angel City Games. And our vision going forward is even bigger, as we take the long look ahead to the 2028 Paralympic Summer Games right here in Los Angeles! 1. Set-up a fundraising page that explains your connection to Angel City Sports, why adaptive sports matters to you, and why you’d like people to support the organization. CLICK HERE to create your page. 5. A sample page will be populated for you; if you’d like to edit or add anything personal you can do so here, then click SAVE. 6. Your page has been created! In the top right corner, you’ll find a link to share the page with your friends, family, colleagues and other connections through email. 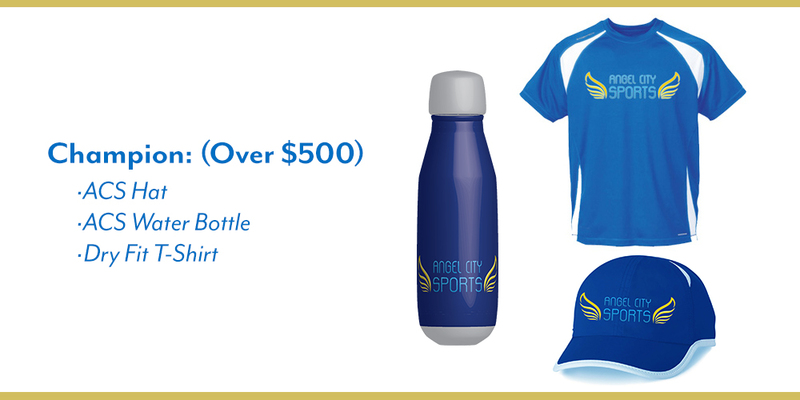 Become a fundraiser for Angel City Sports and earn some super cool SWAG! in SoCal for people with physical disabilities!